The cost of gasoline has hit another fresh low this week, with the average price of a gallon of regular unleaded now at just $3.19, a sharp drop of over 7¢ from last week. This week also marks the first time this season prices have dipped below $3.00 per gallon, according to the weekly gas price survey from the U.S. Energy Information Administration. Although most regional prices are not yet below the $3.00 level, drivers in states along the Gulf Coast are paying an average of $2.98 per gallon. In some areas, the price is much lower. 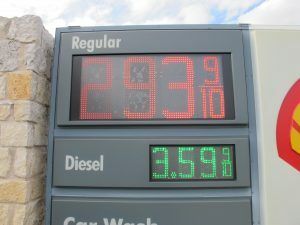 Gas prices at some stations, like this one in near Austin, Texas, reflect a trend to prices under $3.00 for many areas. The cheaper cost of driving comes at a fortuitous time for seasonal travelers, many of whom are heading to southern states, particularly Florida, to take up winter residency. The new price lows also come ahead of holiday traveling, which will begin picking up volume by late November with Thanksgiving. While the lowest regional average was in the Gulf Coast, many other areas are enjoying very cheap gas. Drivers across the Midwestern states are enjoying an average $3.07 gas price, while travelers across the broader eastern seaboard are paying an average $3.24. 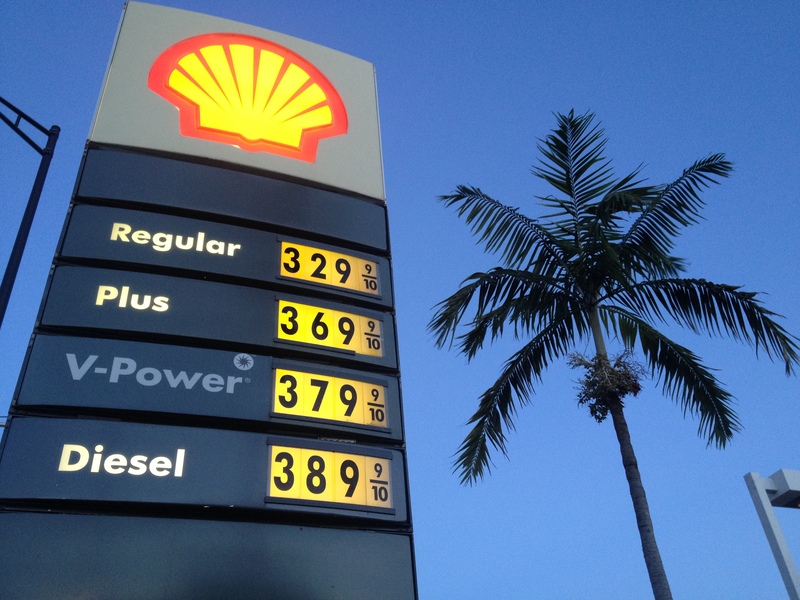 California and West Coast drivers are still paying up to $3.51, on average, for regular unleaded. The cost of operating a diesel rig or fleet of trucks has gone down, at least in terms of fuel costs. The price of the average gallon of diesel is now at $3.83, nationwide, and at a low of $3.75 for Gulf Coast truckers. However, prices at many stations near toll roads, like ones in Texas, are witness to prices well below their regional averages. 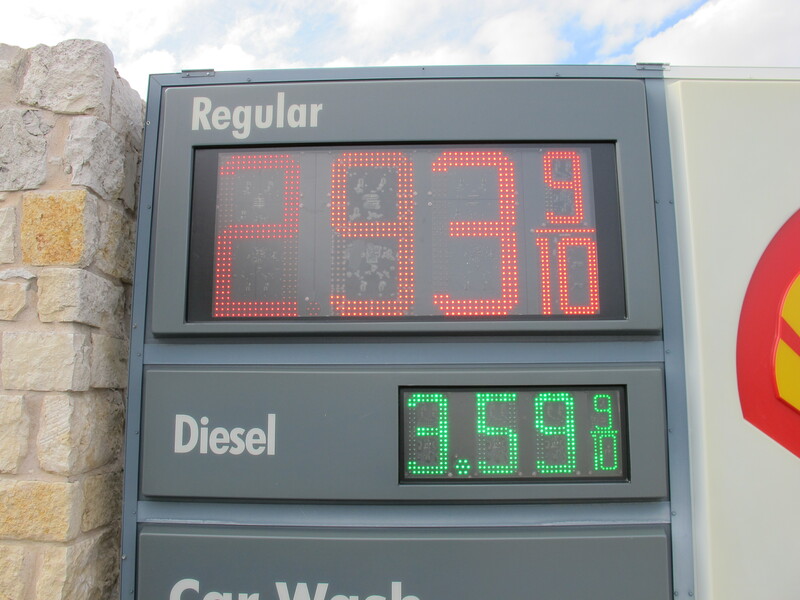 At one station near Austin, close to the Texas 45 Toll Road, the price of diesel was only $3.59 per gallon. Lower crude oil prices in recent weeks have contributed to the decline in fuel prices, but there is also a glut of supply at many refineries, even as refinery capacity is undergoing seasonal adjustments. As for the price of crude, West Texas Intermediate (WTI) closed Tuesday at $93.16, although it had traded as low as $92.86, intraday. Brent crude closed at $106.14, although it had been as low as $103.46 late last week. The lower seasonal demand, despite spikes in traffic around certain holidays, is also another factor playing into the reduced price of gas. But there is a longer-term trend toward even lower prices, according to a recent forecast from the EIA. 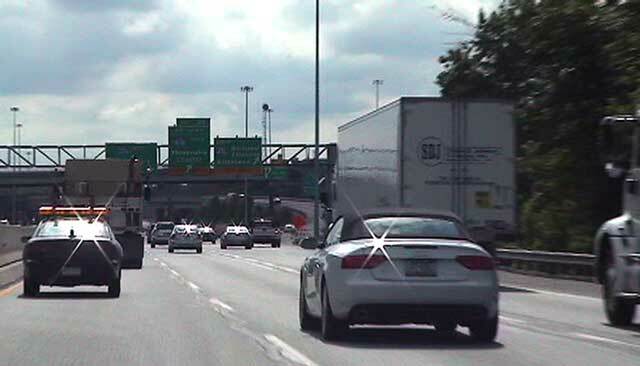 Gas prices are expected to continue decling through the holiday season and well into 2014, according to the report. 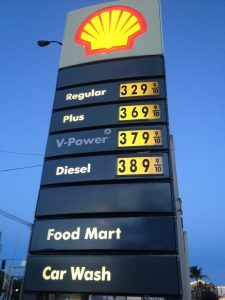 The price of gas continues to fall across the nation, although the declines are a bit smaller as November gets underway, according to this week’s report from the U.S. Energy Information Administration. The EIA report shows the price of a gallon of regular unleaded fell to a nationwide average of $3.27, which is about two cents less than last week. some regions, as usual, enjoyed a larger decline than others. The Rocky Mountain states had the biggest weekly drop in fuel costs, with the average price at the pump down by about 6¢ per gallon. The price of gas across many regions is now below $3.30, with some areas, like the Gulf Coast, close to $3.00. Picture taken Mon., Nov. 4 in Oakland Park, Florida. The price of gas in the Gulf Coast states was nearly at $3.00 per gallon, the only region that is that close, officially, to having three-dollar gas. For most of us, the price is between $3.20 and $3.30 per gallon. Moreover, gas prices in most regions are now lower than at the start of 2013. 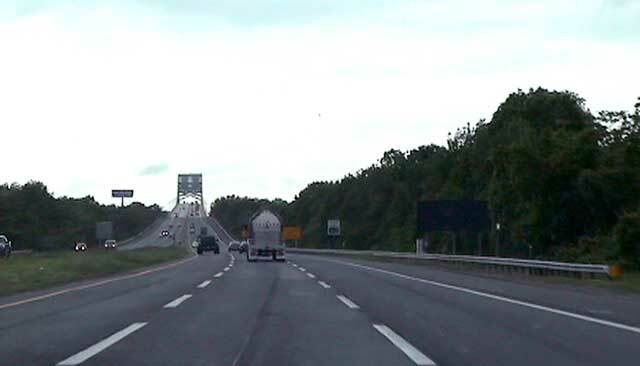 By mid summer, the cost of driving had gone so high, many drivers were paying near or just over $4.00 per gallon for fuel. 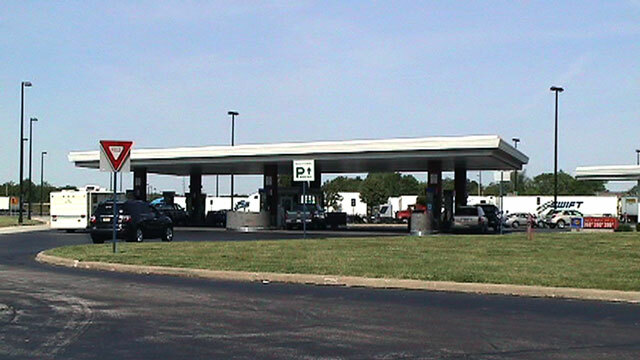 The price of diesel was even higher, making a fill-up for a trucker a costly endeavor. 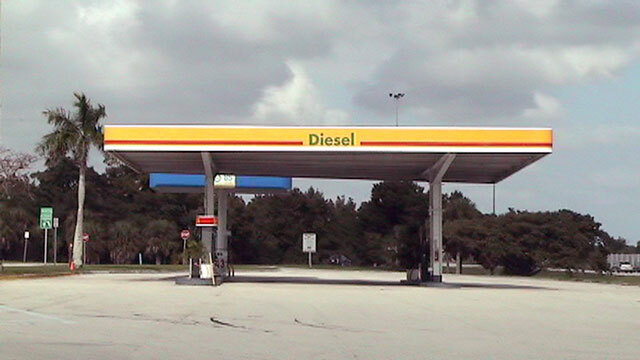 The price of diesel is down this week, as well, following the trend of regular gasoline. However, the cost of diesel is not declining as quickly as with regular unleaded. The average price of a gallon of diesel is down about a penny per gallon, although some parts of the West Coast and California are seeing declines of 2¢ and 3¢ per gallon, respectively. The price of gas is expected to level off by mid-December, according to a recent forecast by the EIA. The projected price of gas near the height of the holiday season is expected to hover around $3.15 per gallon. If current trends are any indication, some regions will have gas prices lower than $3.00 gallon, particularly the Gulf Coast. On the futures exchanges, the price of West Texas Intermediate (WTI) was down to a five-month low Tuesday evening, after closing in on $93 per barrel. Even Brent is down significantly, moving closer to $105 per barrel. Tuesday prices fell considerably for both WTI and Brent, with the U.S. crude futures having fallen five out of the past six sessions. 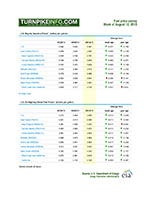 A report from Reuters states U.S. oil supplies are up, reducing demand for future deliveries. The report cites an increase of about 2-million barrels of oil at a stock yard in Cushing, Oklahoma, which is the largest increase in supply there since December 2012. When the glut of supply is matched with reduced refinery demand, the combination gives a one-two punch to the price of oil futures, which translates into lower prices at the retail level. However, due to oil companies’ accounting practices, retail prices declines, due to lower crude prices, typically time to manifest.